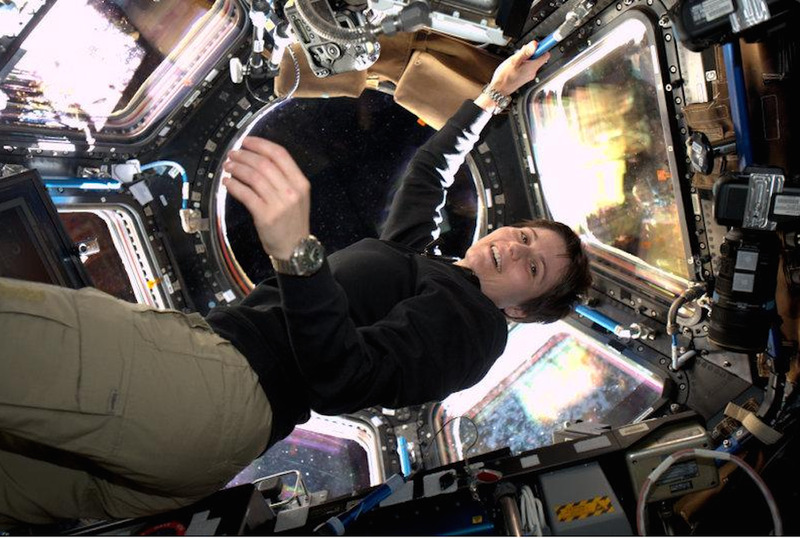 Italian astronaut Samantha Cristoferetti is currently aboard the International Space Station, orbiting Earth at more than 16,000 miles per hour. Ten years ago, it would have been impossible for Cristoferetti to regularly communicate with her friends, family, and fans, but thanks to a new web app, you’re now able to send Cristoferetti a tiny hello with just a push of a green button. The app’s called Friends in Space, and it’s basically a social network aimed at connecting space enthusiasts. While astronauts such as Cristoferetti and Commander Chris Hadfield have used social networks like Twitter to provide updates in the past, Friends in Space allows people to do more than just observe from afar. Through the website’s main dashboard, you can watch live video from the ISS as it orbits, check up on what Cristoferetti’s doing today, and hear what’s going on aboard the ISS with live audio. If Cristoferetti isn’t in range of your particular section of Earth, you don’t have to worry for long. The ISS orbits the Earth 15 times a day, and in the meantime, you can always say hello to other users and watch them ping you back from across the ocean. Here’s what it looks like when I sent out a hello from New York City, which was then returned from someone logged in from Ukraine. If you want to say hi to Cristoferetti yourself, head on over to Friends in Space to get started.